Home » Drama » Finally! 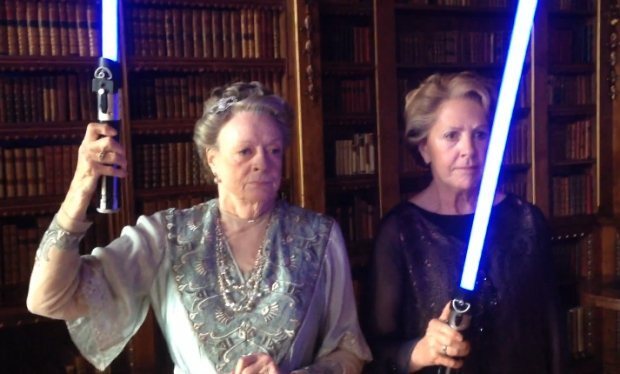 More people from Downton with light sabers in ‘Downton Wars: The Evil Butler Strikes Back’! Finally! 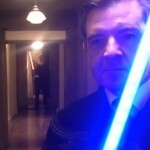 More people from Downton with light sabers in ‘Downton Wars: The Evil Butler Strikes Back’! Back in April 2015, Rob James-Collier, a.k.a. Thomas Barrow, dug deep into his creative mind palace and decided upon a unique way to set up a fundraiser for his running of the London Marathon. He set out to raise £10,000 to benefit Chilterns MS Centre and invited anyone to help him raise his goal by going to www.evilbutler.com to support his efforts. As an advance thank you, James-Collier wrote/directed what the Internets have been waiting for for some time…a Downton Abbey / Star Wars crossover video shot entirely on his iPhone called, Downton Wars: The Phantom Valet. James-Collier promised that once the total had been reached (which it quickly was, raising more than £15,000), ‘the evil butler’ would begin work on the second installment of Downton Wars with “The Evil Butler Strikes Back”. Well, here it is, complete with the Darth Dowager (Maggie Smith) and Penelope Wilton with light sabers! The year is 1920. The world of Downton Abbey has been turned upside down. Lady Edith has gone Gluten-Free. A mist has descended upon Mr. Bates as he enters the ‘Three Stages of Jedi Decline’ as his Jedi powers begin to fade. Seizing his opportunity, Sith Lord Thomas looks to vanquish Mr. Bates and Jedi order once and for all. The Force is strong, however. 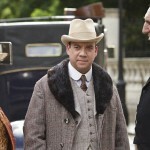 It may be 1920 but Anna will have none of Mr. Bates’ Jedi mind tricks played upon her. But, do we really “know” Anna? In case you missed Downton Wars: The Phantom Valet, enjoy! 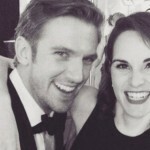 Downton Wars “The Phantom Valet” – it’s people from Downton with lightsabers! ‘Mapp and Lucia’ – round one begins 29 December on BBC One! 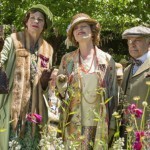 Dining at ‘Downton Abbey’? Ask for a table downstairs.